Standard - $59.99 Only 1 left! Diet consists of toy mice and plush rabbits. Actually, that's not true at all, and bringing a snake into a public place sounds like a good way to lose a snake (or worse). But what do you do if your costume needs a giant slithery reptile? 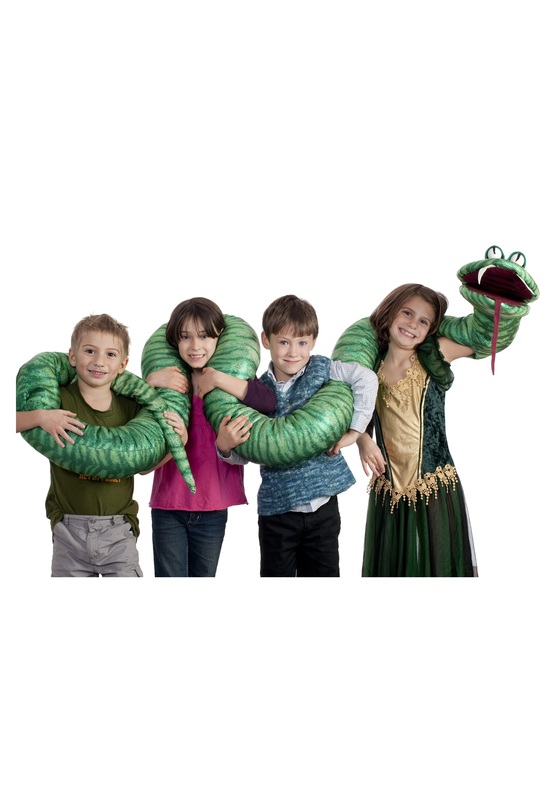 You reach for your Big Green Snake Arm Puppet to save the day! This ten foot long snake puppet my seem like a creepy monster at first, but it's actually pretty charming once you get to know it. Stuff its shimmering body as much or as little as you like, so your new buddy looks perfect with your snake themed costume. And the best part is it won't creep out the other guests nearly as much as a real serpent!